With unprecedented performance for its size in a quiet and set friendly case, the QOS 24 Bay is a software RAID with advanced features like silent-data corruption detection and advanced drive reconstruction, sets a new standard in quality storage design. 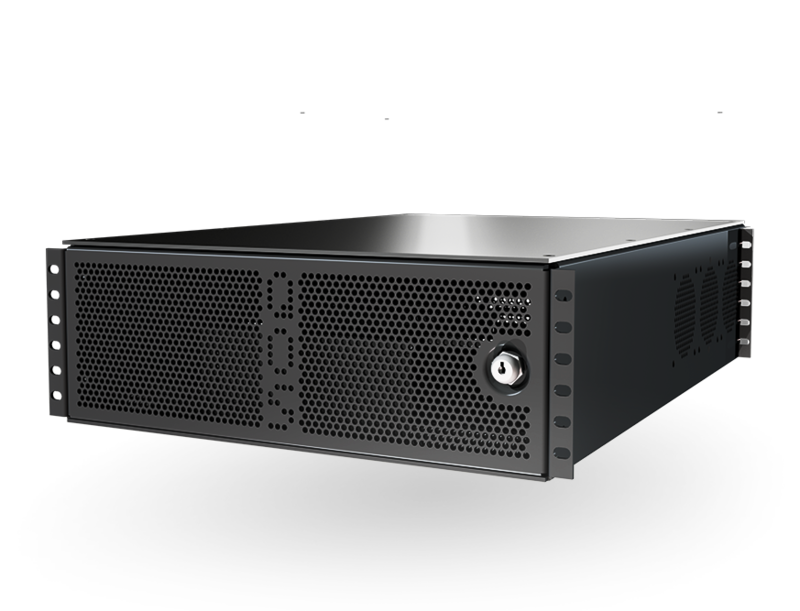 With unprecedented performance for its size in a quiet and set friendly case, the QOS 24 Bay is a software RAID with advanced features like silent-data corruption detection and advanced drive reconstruction, sets a new standard in quality storage design. Although it is small, its power is not to be underestimated. It will host twenty-four 2.5” hard drives or SSDs and up to two 10 Gigabit Ethernet and 8 or 16/32 Gb fibre channel cards. The data rate of the 24-Bay will exceed the maximum attainable from a single 16Gb or 10Gb connection. The QOS 24-Bay drive array makes use of a number of proven technologies for keeping your data safe. The QOS can non-intrusively detect and correct corrupt data that goes unseen from a client computer or drive firmware. The RAID can function at RAID 0, 1, 1E, 5, 6, 10, 50, 60, JBOD levels, for protection based on your specific use. In RAID 6 mode, up to two drives can fail simultaneously without affecting the integrity of the data. The sixteen drives in the system are Enterprise quality drives that are hot swappable inside a shock protective rubber mounted drive enclosure. Supports 1GbE, 10/40GbE and 4,8 and 16 Gig Fibre Channel connectivity.